For so many of us, checking in and posting updates on social media is a daily activity. You may use it to increase your professional network and to promote your business or brand, or you may simply enjoy it as a way to pass the time and keep up with family and friends. 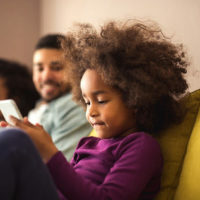 In either situation, it is important to use caution when going online while going through divorce and child time sharing proceedings. Information you post about yourself and your activities could jeopardize your rights and eventually cause significant damage to your court case. When going through a contested divorce or if you are involved in disputes concerning your children, information about you, your earnings, and your lifestyle is fair game during negotiations. Under the Florida Statutes, you are required to disclose your income and assets, which will be used in determining marital property division, while your overall attitude and the activities you engage in are relevant factors in determining the amount of time you spend with your children. Social media is one of the first places an attorney will look to discover information you may not have disclosed. Placing ads on dating websites or posting about romantic relationships could provide evidence of adultery. Bragging about your job or posting photos of vacations, shopping trips, and expensive dinners out could indicate you are making more money than revealed through your financial disclosures. Posting about drinking too much on a night out with friends or sharing memes about a ‘party’ lifestyle could cast doubt on your moral fitness as a parent. Canceling visitations with children or not appearing at court hearings then posting pictures of yourself engaged in other activities could be used by an attorney to get your order or case overruled. Realize that even if you block your spouse, they may still be able to glean information from your social media sites through other means, such as friends or family members. Before taking any actions which could have a negative impact on your case, reach out and contact attorney Vanessa L. Prieto first. We can arrange a consultation with our experienced Fort Lauderdale divorce and family law legal team to discuss how you can protect your rights in your situation. Call or contact us online today.